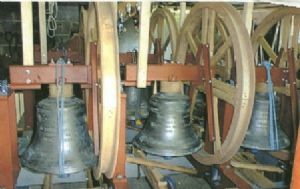 Bellringing is a fascinating and absorbing skill, as well as being a service to the church. Anybody can learn to ring, aged 8 to 80 and beyond. We have a weekly practice when there are enough of us, and we ring for Sunday service when we can. St Andrew’s is in need of more ringers. Please check with Henry to find out when practices are being held. 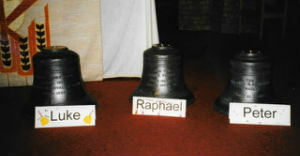 since the bells were blessed and named.